Masters Security FC captain Francis Mkonda has won the 2018 Carlsberg Cup discovery of the season award after dominating a poll by local sports journalists. He amassed 20 of the total 25 votes to repel contention from team-mate Juma Yatina, who got two votes, and Hangover Hammers’ midfielder Richard Rabson (three votes). For his feat, the 20-year-old, who was instrumental in Masters Security’s fairytale Carlsberg Cup triumph, walked away with a miniature and K200 000. His winning of the man-of-the-match accolades in the semi-finals and final against Nyasa Big Bullets and Be Forward Wanderers, respectively, was a testimony of his enviable contribution to the Masters’ success. His sublime performance in the Carlsberg Cup also earned him a place in the Under-23 national football team. “It is a great honour to win this award. It is not easy to get such recognition out of all the players that took part in the competition. I thank my team-mates and everybody else at Masters for contributing to this award,” Mkonda said. 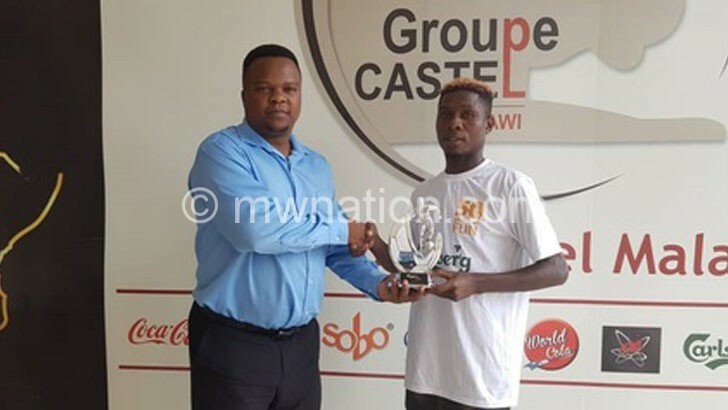 Castel Malawi introduced the discovery-of-the-season award in 2013 to encourage up-and-coming players. It is given to an unknown young player, who makes an impact in the competition. The company’s market category manager Twikale Chirwa said they are impressed with the performance of young players in the competition. “For one to make a name in Carlsberg Cup, win the competition and get a national team call up, shows the impact the cup is playing in exposing young talent. 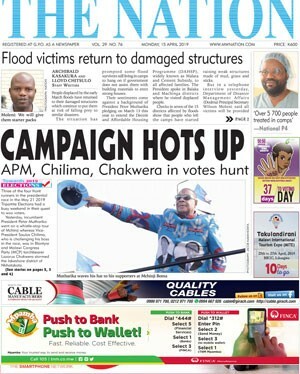 We wish Mkonda a successful career,” he said.